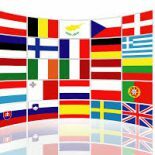 Contributors | European Commonwealth ? My current research revolves around the interactions between domestic administrative law and Europe. It explores how people in a vulnerable position see their legal status organised and their well-being shaped by the tensions and interplays between public and private (economic or non-economic) actors. My core ideas come from my Belgian background, expanded by ten years of research in England, and some years of research and teaching on France. If public private partnerships and major infrastructure projects have been the starting point of my explorations, I am now looking more broadly at how history and political economy of countries can inform (academic and non-academic) lawyers in their understanding of the social compromises underpinning administrative law across European countries.